The Roman Empire has been an object of fascination for the past two millennia, and the story of how a small city in central Italy came to dominate the whole of the Mediterranean basin, most of modern Europe and the lands of Asia Minor and the Middle East, has often been told. 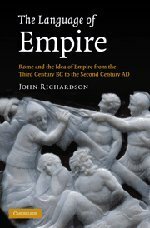 It has provided the model for European empires from Charlemagne to Queen Victoria and beyond, and is still the basis of comparison for investigators of modern imperialisms. By an exhaustive investigation of the changing meanings of certain key words and their use in the substantial remains of Roman writings and in the structures of Roman political life, this book seeks to discover what the Romans themselves thought about their imperial power in the centuries in which they conquered the known world and formed the empire of the first and second centuries AD.